Introducing "The Redskinny," a weekly preview of the local professional football team's upcoming game and opponent. Every Thursday, you can find any and all information* about the Redskins' next opponent in this space. And so we start at the beginning with Week 1. 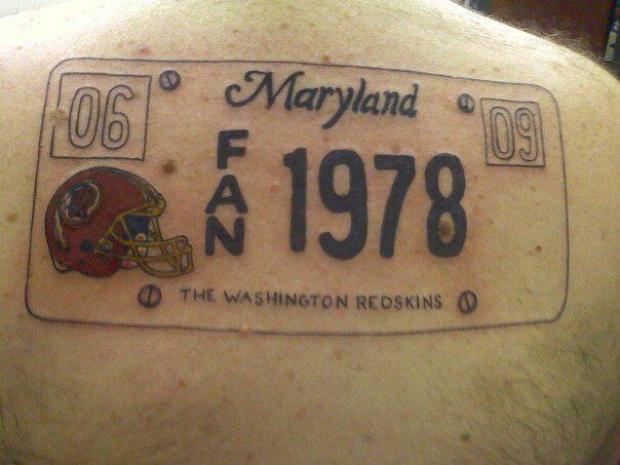 Last week: The preseason ended for both squads with the Redskins trouncing the Buccaneers 30-12 to finish the exhibition schedule 4-0 for the first time since 1985, when Joe Theismann had his leg snapped by Lawrence Taylor and the team failed to qualify for the playoffs. Meanwhile, the Eagles lost a 27-20 game to the Jets. What's the skinny? : So, while we here in Washington spent the last eight months waiting for any morsel of information regarding Robert Griffin III's right knee with bated breath, filling our time by rifling through his wedding registry and reading transcriptions of athletes-turned-analysts criticizing him for pretty much everything, the Eagles hired a new coach: Chip Kelly. 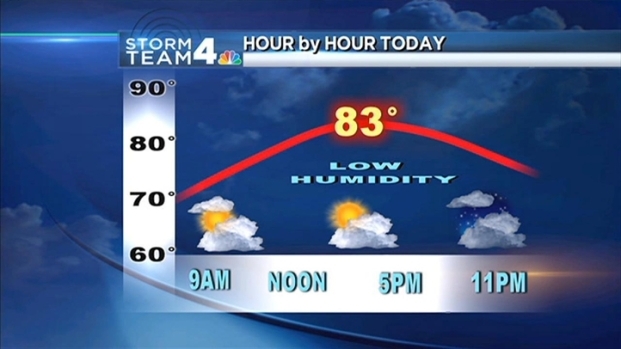 Get the forecast for tonight's Redskins game from Storm Team 4 Meteorologist Tom Kierein. The former University of Oregon coach replaces Andy Reid, who the Eagles fired after 14 seasons in December and the Chiefs hired less than a week later. Much focus has been put on Kelly's hurry-up offense -- "revolutionary" is the primary adjective used to describe it -- which emphasizes, well, hurrying up. Kelly's goal is to run as many plays as humanly possible as fast as humanly possible, giving opposing defenses little to no time to rest or reset. Let me put it to you this way: Last season, the Patriots led the NFL with 1,191 total plays, a 74.4 per game average. Kelly's Ducks averaged nearly 83 plays per game (they. however, played three fewer games). Of course, the Redskins took a similar approach when they hired Steve Spurrier in 2002. Spurrier's "Fun 'n' Gun" spread offense worked wonders at the University of Florida, but did not take hold in Washington as the Redskins finished 12-20 in two seasons before he resigned. To be fair, Spurrier had Shane Matthews, Patrick Ramsey, Danny Wuerffel and Tim Hasselback at quarterback, while the Eagles have Michael Vick. Sure, Vick, who had more turnovers (15) than total touchdowns last season (13), is not what he used to be, but he could thrive in a high-paced offense after two forgettable seasons (though Vick is 6-1 all-time against the Redskins and his 110.5 passer rating against them is the highest of any quarterback). To prepare, Redskins defensive coordinator Jim Haslett has been studying film from Kelly's days at Oregon, much like the Saints did last season when they prepared for Griffin in Week 1. Speaking of defense, the Eagles defense is not so good, particularly the secondary, where they will have three or four new starters after allowing a league-high 33 touchdown passes last season. Gone are Pro Bowl cornerbacks Nnamdi Asomugha and Dominique Rodgers-Cromartie, and in their place enter Bradley Fletcher and Cary Williams to flank safeties Nate Allen and Patrick Chung. To win games this season, the Eagles might have to simply outscore their opponents in shootouts. Many see this as a transition year for the Eagles. Most season previews and projections predict Philadelphia will finish last in the NFC East. Statistic Of The Week: This is not really a statistic. More of a fun fact, really. RGIII was recruited by Chip Kelly in college and said he thought about attending Oregon, but ultimately chose Baylor. "The bottom line is I'm ready to go. They're confident in what I can do, and we'll go out there and play. Play like you were never gone. That's what every guy who comes off an injury has to do." "I just tune into my Robert channel in my head and be ready for any questions you have." "City girls just seem to find out early, how to open doors with just a smile. A rich old man and she won't have to worry. She'll dress up all in lace and go in style."